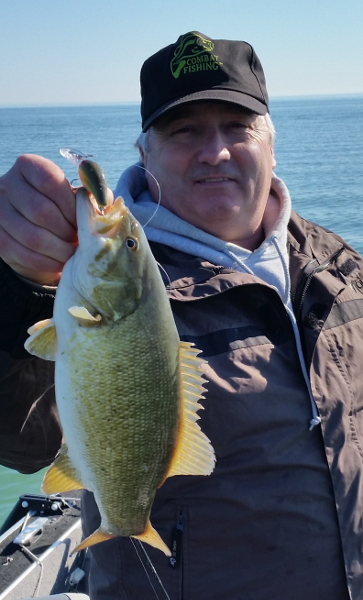 The day started with the unpredictable…a possum crossing my path on an I75 entrance ramp and ended with the predictable…smallmouth being caught on shallow flats in April on Lake St. Clair. 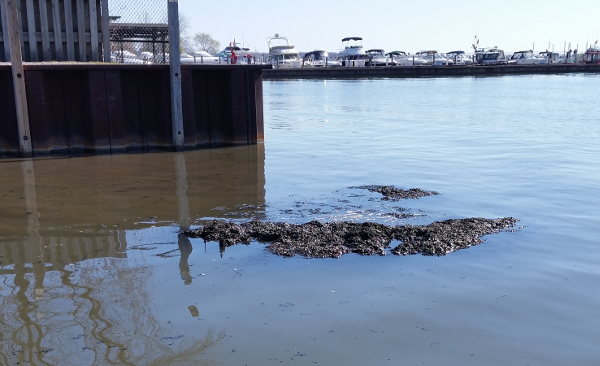 Upon arriving at the Clinton River Cutoff launch at 6:35am there was nobody anywhere to be seen in the staging area. Five minutes later the boats started piling in and before you knew it, the line stretched out to the street. That was mostly because there is still a pile of dirt stacked up at the launch, plus some other problems. Continuous east winds pushed debris into the launch. That is nothing new for this location which acts as a funnel for seaweed but this time there was a lot of wood. 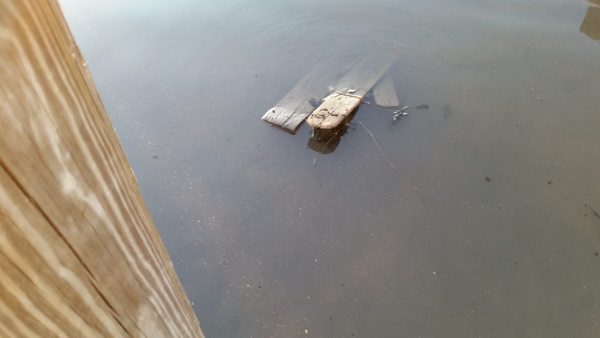 That is no surprise once you get out on the Lake you can see floating wood everywhere. The wood at the launch was big enough to cause damage. Some anglers chose to trolling motor away from the launch area before firing up their big motor. 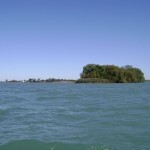 Sunday morning was a picture perfect day for running anywhere you wanted to on Lake St. Clair. The air was still chilly in the early morning but by 9:00am you found anglers fishing in shorts. 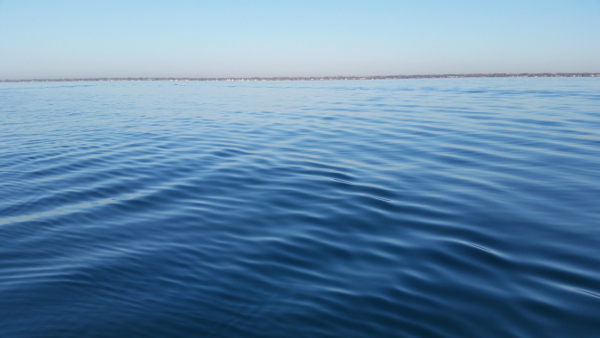 A very light variable breeze kept conditions just this side of being dead calm. Groups of boats could be found at all the predictable spots. The water clarity was heavily stained, but that can be a plus this time of year. Catch rates were steady but it wasn’t a fast bite. 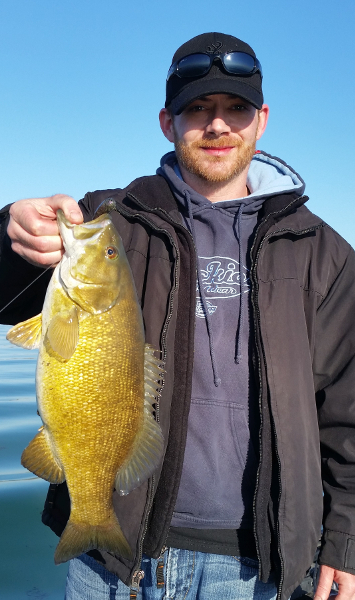 There were some big smallies being caught but many that were average size as well. Even though we were only out for a few hours, we were happy with our results. The bite came the way that we expected it to. 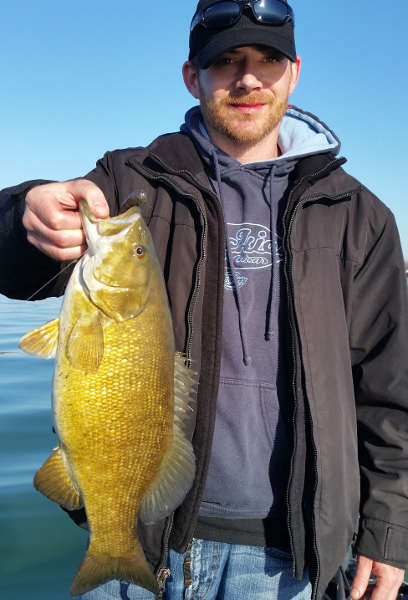 We landed smallmouth on tubes and slow moving crankbaits. 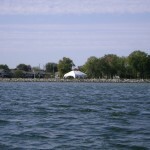 If you missed the big bite in March and were waiting for better weather, the weather is back, and the bite is on. See you on the water. 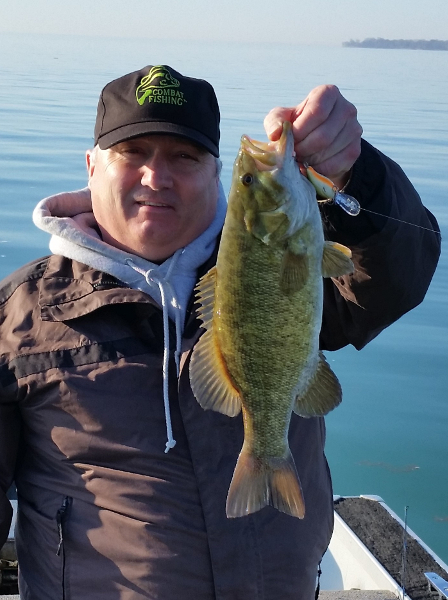 For more on fishing smallmouth bass on Lake St. Clair in the spring attend the upcoming seminar with Captain Wayne at Sportsmen’s Direct on Friday, April 22nd at 6:00pm. 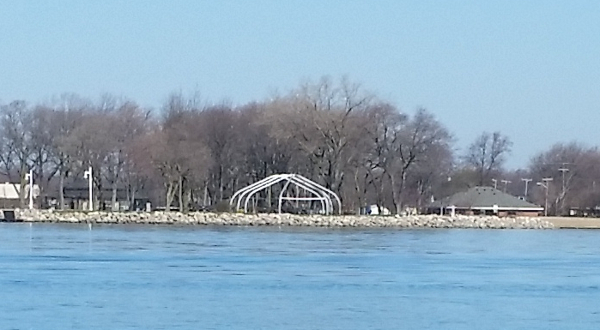 This is what the band shell at Memorial Park looks like right now.